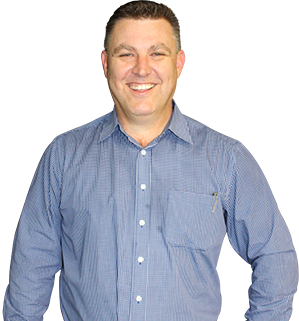 Jason joined Linx in 2007 having worked in the earthmoving and forestry industries for 10 years prior. Having a keen interest in the finance sector and having completed additional certifications in Accounting and Financial Services, Jason brings a wealth of knowledge assisting him to source the right finance product for each client with a knowledge and understanding of their particular industry. Jason Steinke and Allbiz Finance Pty Ltd operate independently and engage the aggregation services of Linx Finance Australia Pty Ltd in order to provide the most competitive finance facility available. They are neither employees nor agents of Linx Finance Australia Pty Ltd.
Jason would love to hear what you thought of his service. Click the button below to leave some feedback for him. “We contacted Jason after hearing good feedback about him and asked him if he was able to help us obtain finance for a Truck & B-Double log trailers for our first business venture. We were certain that we wouldn’t get approved and tried not to get our hopes up, but somehow he made it all happen for us and we couldn’t be more grateful! Jason went above and beyond to make our dream a reality and made sure the whole process went smoothly for us. We will definitely keep doing business with Jason at Linx Finance in the future. We highly recommend him.